Last week, Google announced a set of official partnerships with a handful of companies willing to make watch bands for Android Wear devices. 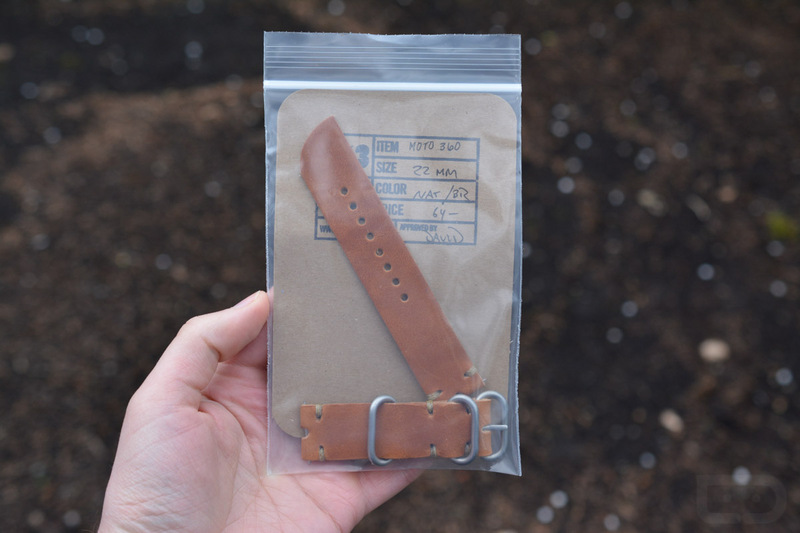 One of those companies is E3 Motocycles, a shop out of Brooklyn, NY, who specializes in hand-made products that use quality materials like Horween leather. 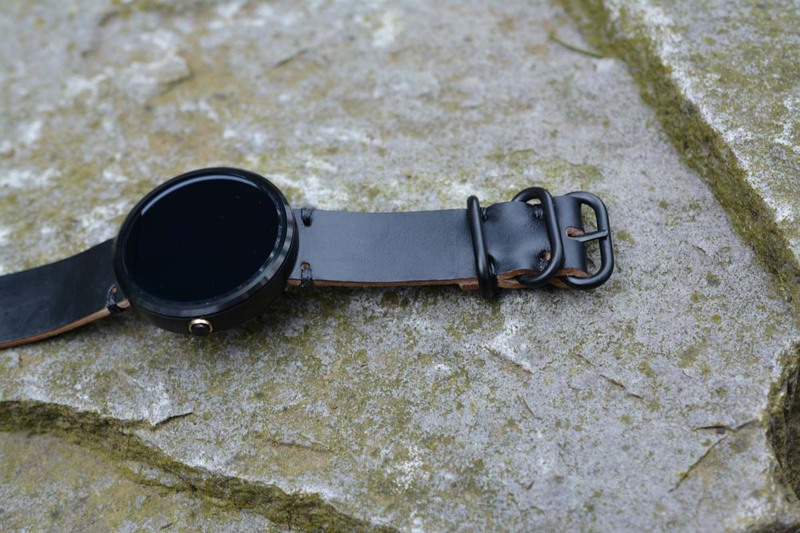 Out of the group that was announced by Google, the E3 watch bands were the closest to our personal tastes in watch bands, so we picked a few up. Man, these are incredible. Priced at $64 and up, these aren’t exactly cheap, but they aren’t supposed to be. When you are using quality Horween leather, coupled with premium hardware and a non-assembly line approach, you get what you pay for. In fact, each watch band we received had a hand-written order card with it, along with the name of the person who put it all together. Talk about attention to detail. 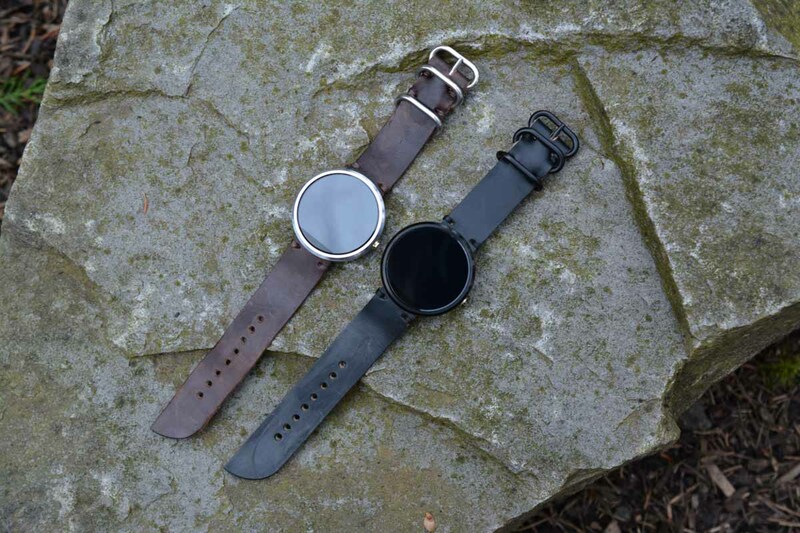 We grabbed the natural, black, and brown options, along with stainless steel, brushed metal, and matte black hardware for the Moto 360. 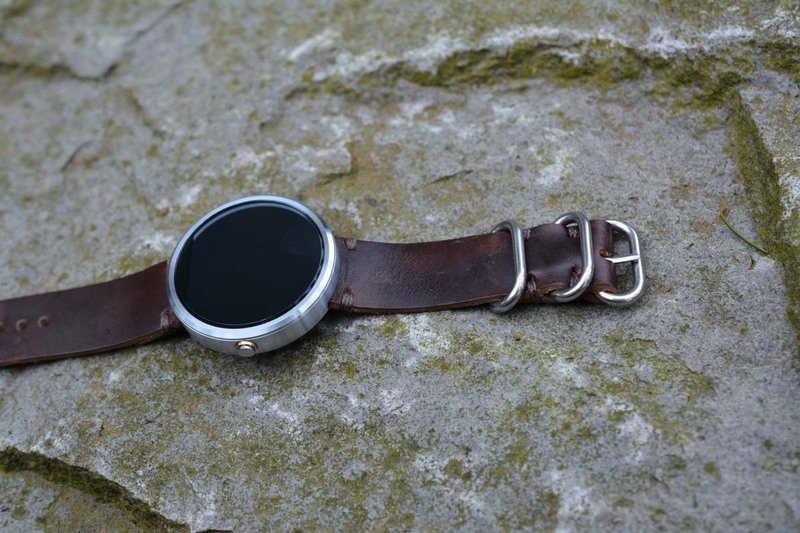 They support almost every single Android Wear watch, though, including the G Watch R, G Watch, Gear Live, and Asus ZenWatch. I’m not sure you could go wrong with any of these. You can tell they are hand-made, because the subtle imperfections in the glueing or stitching let you know that these weren’t assembled in a big factory overseas. The design is masculine yet tasteful, with stitching for reinforcement and a bit of style that accompanies the metals we chose. The leather is also incredibly soft. 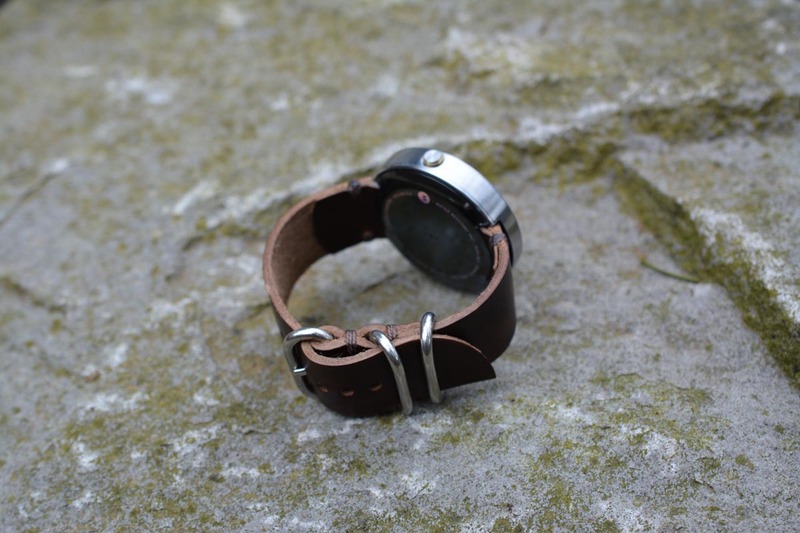 For example, the Horween natural band I bought from Motorola is still not as soft as the natural Horween band I just received from E3, even after dozens and dozens of wears. We are talking the same leather here, but one was mass-produced for Motorola and the other was put together by a dude named David. 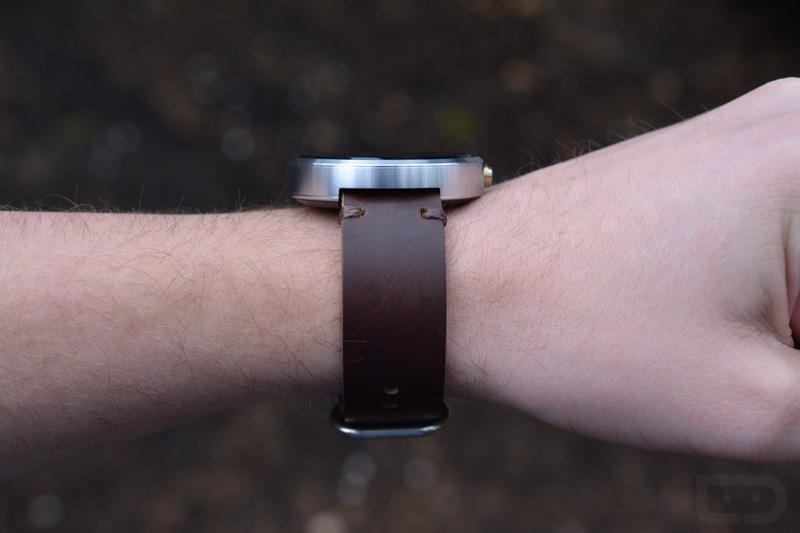 The bands are 22mm, so even if you don’t want these on your $200 Android Wear watch, you couldn’t go wrong slapping them on another standard 22mm watch. Again, $64 and up, but damn, these are arguably worth each penny. 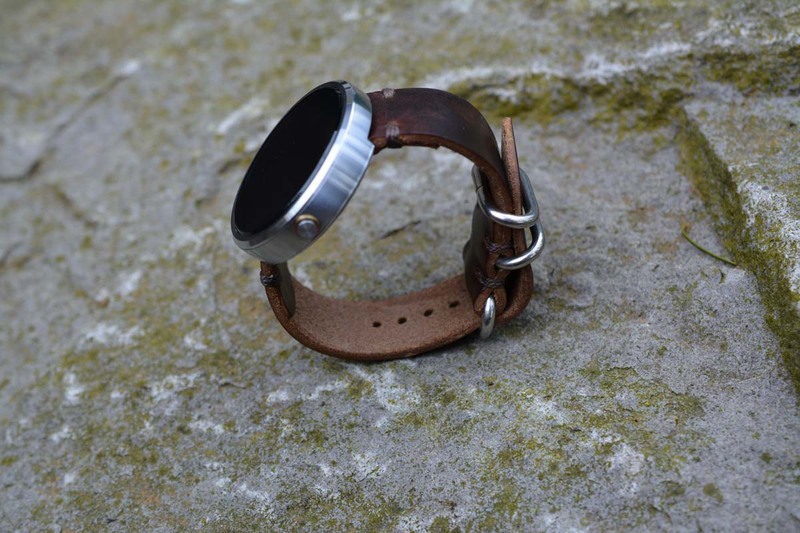 You can check out all of E3’s Android Wear watch bands here.